PhilB94’s road to the FIFA eWorld Cup 2018 continues this weekend in Manchester, England at the second FUT Champions Cup. Phil joins 128 of the world’s top FIFA 18 players vying for one of the 16 FIFA 18 Global Series Playoffs qualification spots and a top prize of $22,000 USD. Phil is coming off a strong performance at the inaugural eMLS Cup this past weekend. Phil finished the tournament with an 8-4-6 record picking up wins against some of North America’s top FIFA players. Ultimately Phil bowed out in the conference semifinals to eventual runner-up LyesMTL on penalty kicks. Phil qualified for this tournament through FIFA 18’s February FUT Champions Weekend League, where players play 40 games each weekend for the month to earn a spot. Phil won 156 out of 160 games in February finishing 14th in the world. The FUT Champions Cup runs from Friday, April 13 to Sunday, April 15. The 128 players are split into their respective consoles. Phil will be one of the 64 players competing on PlayStation 4. The tournament uses a “Swiss-style” format for the Group Stage. Players are seeded based on their qualifying results. Phil is the number 13 seed on PS4. All competitors are paired up for each match based on their record in the stage thus far, so everyone will only play against someone with their exact win-loss record. Each match consists of two games with the aggregate score determining the winner. Players will play up to seven matches in the Group Stage with Competitors who earn four match wins qualifying for the Knockout Stage. Competitors who register four-match losses will be immediately eliminated from the tournament. 32 players will qualify for the knockout stage. At the end of the knockout stage, one competitor will remain from each console. The console champions will face off in the FUT Champions Cup Grand Final, which is a two-legged aggregate series with a match played on each console. The Grand Final winner will take home the trophy and the $22k. 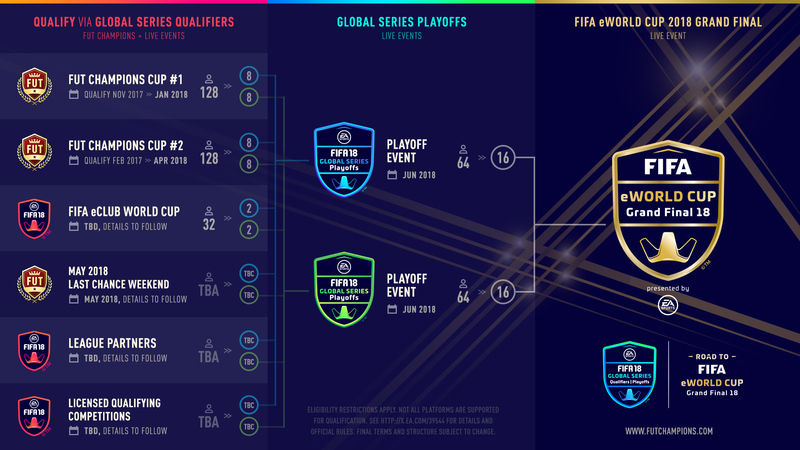 In addition, the top eight competitors on each platform will qualify for FIFA 18 Global Series Playoffs in June. The Global Series Playoffs is the final qualification stage for the eWorld Cup, so Phil will have his sights set on at least a top-eight finish this weekend. The entire tournament will be streamed live on EA SPORTS FIFA’s Twitch Channel so be sure to tune in to cheer on Phil in his pursuit of the FUT Champions Cup. The full event schedule is available here with things getting started on Friday at 7:00 AM ET. We will also be providing updates from Manchester all weekend so be sure to keep it locked to TorontoFC.ca and follow the club on Twitter. You can also follow Phil on Twitter and Instagram to keep up with TFC’s first esports pro.